Everyday I wake up with dread. Please pray for me. I barely get through each day. It’s all I can do to get out of bed. I feel alone, unworthy of love, and hopeless. Has anyone felt this way for months on end? I have been there, as have many others. You are not alone. Sometimes life does its best to beat us down to nothing and will kick us in the teeth when we are down, but don’t give up. Where there is life there is hope. You may be alone, but you are neither unworthy of love nor hopeless. Start taking the small steps you believe will help you, we can’t expect to take care of the big things in life if we can’t take care of the small things. No matter how small the progress you make, progress is progress (even if it takes all of your strength). Bad times come, we can’t stop them from coming. I believe that we are defined more by what we do and achieve in our darkest moments then in our brightest ones and so I pray that you will hold your head up high and find the courage to face the days before you. You are not alone, don’t give up. Firstly, know #YouAreNotAlone, and #YouAreLoved. I myself just got off of a bad 3-4 months of feeling this way predominantly. These are all common symptoms and signs of depression, that our depression lies to us, and endlessly repeats it to the point you don’t even want to be inside your own head, or alone with your thoughts. Because it starts to feel like a real truth after beating you down, and grinding you into submission. Which makes you want to isolate (unworthiness),then the lonely feelings of isolation, further making you feel the longer you are in this state of feeling absolutely hopeless to even exist every day, much less to get out of the dark depressive cycle. Despite how dark things are, how endless, or hopeless they seem. Things can and will get better. You have already done the hardest thing there is to do in the entire process; reach out, to tell others how you feel. Looking for help. So here I am, to tell you that you aren’t alone, that you are loved, and that I too have been down this road, and know the emotions, thoughts and feelings that come with them. The most important things I’ve come to learn in therapy, is the important of recognizing mood and thought changes in myself, to then respond with the Self-care that I am in need of. Sometimes, my steps have to be so small, I don’t even feel my feet move… but it helps you gain momentum to be able to stretch your steps out to begin to walk again. You are in my thoughts today, and in my prayers. Remember people love you, regardless if they know you or not. You are so very special, and priceless in the eyes of many; including the Lord our God. Someone else who struggles daily. Thanks Tim. I am learning that small steps are steps. @mlgray Here is my response to your topic friend. 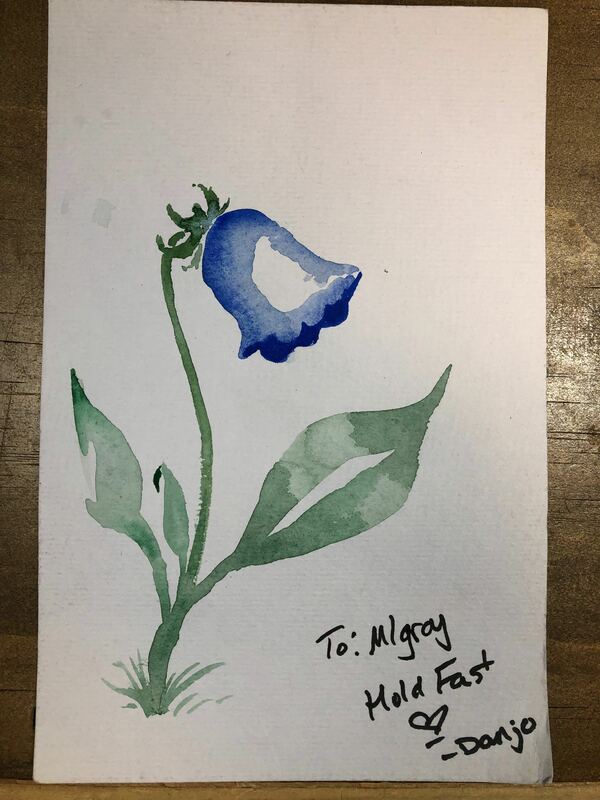 Also, I’d love to send you the picture I painted for you. Please email me: [email protected] Hold Fast.